My lab at the University of Manchester is fairly big and busy. Headed by the current BES president, and with over 30 people, and many millions of pounds in funding, it can be a stressful place. I am by no means an expert in stress, but I can tell you about my personal experiences and some of the ways that the University of Manchester helps staff and students deal with stress here. There are a lot of tools you can use to reduce stress. I think the importance of learning to recognise stress – and diagnose the type of stress – can’t be overstated. Humans are very good at denial. The urge to push on regardless is particularly strong in academics, whose careers may hinge on their ability to do just that. But you can’t fix something if you don’t know it’s broken. I see two kinds of stress around the lab: chronic low-level stress that grows gradually over time; and acute stress incidents. The first type is generally brought on by compound problems with no simple answer. The acute incidents tend to have discrete identifiable causes, like instrument failure, soil sieving taking twice as long as expected, or your study plants dying over a particularly hot weekend (all of which have happened to me). The latter may go off with more of a bang, but I’d argue they’re also the less serious of the two. Here, we have an initiative called Manchester Ways to Wellbeing: a list of 6 actions to build into your day-to-day life to help you feel good and function well. It includes a variety of regular workshops for staff and students, as well as advice and signposting for further help. A separate suite of workshops are available through the counselling service (as well as counselling), with topics from managing stress, to combating social anxiety, to yoga for mindfulness. The university also provides access to a few online self-help tools, which tackle anxiety, depression, and general health using things like CBT or creative arts. I realise I may be spoilt, working at the largest single-site university in the UK, but most institutions will offer something. Unfortunately, you often have to be willing to search for it though. Even here the services could do with some streamlining. It took me five minutes of googling to learn that the sport and wellbeing service offers discount massages! If your institution doesn’t provide these services, look elsewhere. Free self-help programs are available online, or some GPs will prescribe access to subscription websites. It’s become a bit of a banality, but physical activity can be so good for stress. We all know the basic science: exercise = serotonin = happiness (with the added bonus that it’s good for your general health). Plus, even without subsidised sport programmes (ours is called Sporticipate), it can be free. I know it’s easy to feel lethargic and demoralised after a stressful day; my hundreds of Netflix hours prove that. You convince yourself it would be better to just go home and flop down on the sofa, but you still end up stewing about what is stressing you out. 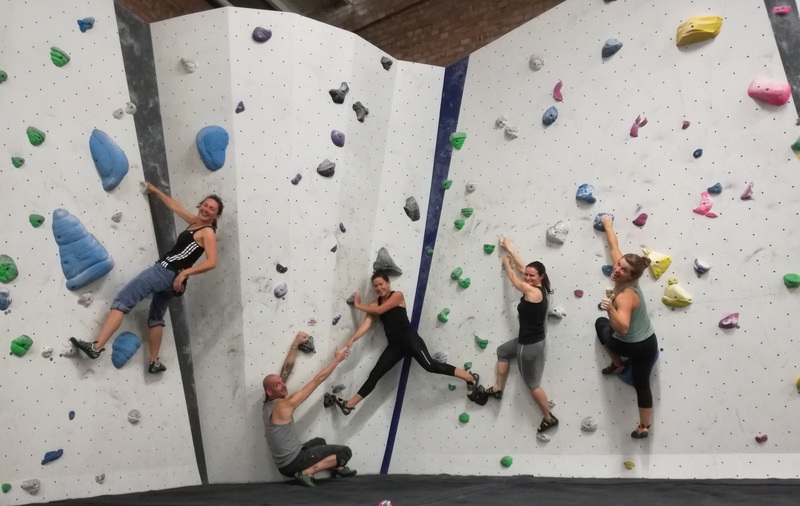 In our group, a few people go to yoga after work, one jogs at lunchtime, another runs a beginners 5-a-side game, and quite a few frequent the climbing wall. A select few even get up early of a Saturday to do various park runs together throughout Manchester. It doesn’t matter what kind of exercise you do – just moving around can help. All of this brings me to my next point, and the one I would tentatively suggest is the most significant. Whether by design or dumb luck, this lab has ended up being a group of brilliant, lovely people who care about each other and about each other’s work. In a competitive or ‘each for their own’ environment, anyone dealing with stress would have to carry the burden alone. Isolation like this can feed into the stress, making it harder to break the cycle. Forgive the overly sweet sentiment, but I believe being friends is a large part of why this lab group works so well. As an example, when syringe filtering was taking too long, and we were running out of time to get the samples on an instrument, a quick post to the lab WhatsApp group produced three willing volunteers to help with the tedious task. This comradery is helped by a relaxed atmosphere and being given opportunity to socialise (after work drinks, holiday meals, communal lunches, etc.). That said, building a support network separate from work is also important. Maybe you have a great family of academics living nearby, but most people don’t. Even well-meaning family who have never experienced the stresses of academia may struggle to provide the support you need. So reach out beyond your immediate colleagues, to groups you identify with. In most university cities you’ll also find societies and clubs. 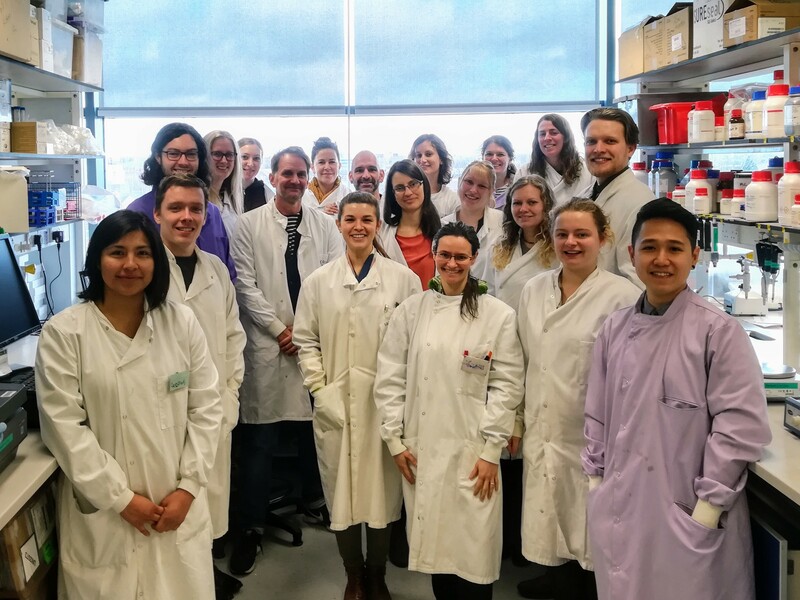 In Manchester, I’m involved with a 500 Women Scientists chapter, who aim to support women in STEM. There’s also SciComm burrito, a monthly social for people interested in science communication, Science Grrl, many topic related post-doc socials and a plethora of Meetup groups. Whatever group you may identify with, there are probably people nearby also looking to connect. Be that based on sexuality, gender, religion, cultural identity, or even hobbies (like Puzzled Pint for me). If the situation is serious enough, there may also be support groups in the area for stress and anxiety. Whatever way you do it, make connections with people who understand some part of what you are going through. Failing all else, know when to quit. It isn’t worth spending mental energy fixating on a problem that you have no influence over. Better to divert your attention to things in your life that you can control. This applies in more general terms too. Culturally, a lot of praise is given to people who stick it out, who fight on in the face of great adversity. “Quitting” is used synonymously with failure, but it shouldn’t be. Sometimes the best thing you can do for yourself, or even for science, is to know when to quit. If you find yourself working on a project that is slowly eating away at your soul, making you so unhappy your productivity plummets and you’re barely functioning as a scientist, you aren’t doing anyone any favours by sticking at it. Perhaps then the smartest thing you can do is to walk away or kill the research. It just might save your sanity or make room for another eager scientist to step in with fresh eyes or a different perspective. That’s not to say I encourage everyone to throw in the towel as soon as it gets hard. If you’ve exhausted all other stress reduction possibilities, it’s better to cut and run than work yourself into an early grave. After all, it’s just a job, and academia isn’t the only way to work in science. This may seem utterly impossible when you have invested years of your life, and buckets of blood, sweat and tears in a project, but you may find people are surprisingly supportive. In my time here, two post-docs have left for careers outside of academia, and both were happier after they did. It’s possible that more support could have retained these scientists; I certainly won’t claim that the situation here in Manchester is perfect. The resources are good but could be better advertised and arranged. Training for staff in how to handle stress in less senior colleagues is optional and little known about. There’s definitely room for improvement. Overall though, I think we have some pretty good initiatives in place to help people who are dealing with stress. I’d encourage anyone who is trying to work through a tough time to look into options offered by their institution. And if there isn’t much (or any) support, get in touch with someone to ask for more. It’s likely that there are a lot of people in a similar situation who would also benefit from those resources. This entry was posted in General, Publishing Tips & Tricks and tagged Manchester Ways to Wellbeing, Mental Health in Academia, Stress in Academia, Stress Management, Support Networks by Chris Grieves. Bookmark the permalink.